The global whiskey market is shared by North America, Europe, Asia Pacific and rest of world. Europe has still the main market share with Scotland and Ireland as production areas for popular Scottish and Irish whiskeys. Thus, Scottish whiskeys are not showing the same growth rates as Bourbon and American whiskeys which continue to grow with high preference globally. 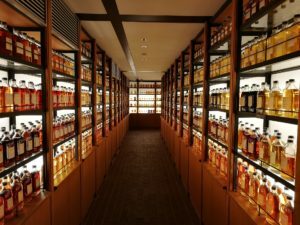 North America holds a major share considering the demand of whiskey, and, Asia-Pacific is an emerging market especially when thinking of China and India which are gaining attention for their growing whiskey markets that have not been fully developed yet. The demand of whiskey has been growing continuously at a fast rate after beer. 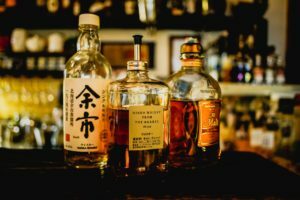 Beginning of this year, the Distilled Spirits Council reported at its annual economic briefing that the sales and volumes of spirits were at record level. 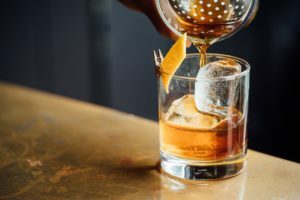 Supplier sales were up 4 percent, volumes rose 2.6 percent, which underlines the clear trend that consumers are choosing higher-end distilled spirits over beers and wine. In March 2018, the French distiller Pernod Ricard SA has confirmed that they intend to focus on takeovers of American whiskey brands in the near term. The company acquired West Virginia-based Smooth Ambler Spirits Co.in 2016. 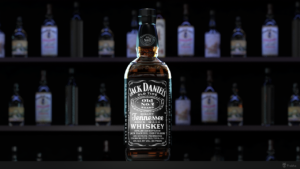 The industry segment of American Whiskey, including bourbon, Tennessee whiskey, and rye whiskey is a key driver of distilled spirits growth in the U.S. market. In 2017 this segment gained 8.1 percent which was about twice as much as the market overall. This year the U.S. export market, which is almost all whiskey, grew to $1.63 billion. The most sales were to United Kingdom, Germany, Brazil, France and Spain. The huge growth potential of Asia is still unrealized and not considered yet. The problem with forecasting whiskey sales is that aged products need to age. Looking at the bourbon aging cycles of 3 years and more make production and sales planning difficult. One aspect of predicting sales is to look back to history and analyze the disruptions of Prohibition (1920-1933), during the Great Depression (1929-1939), or World War II (1941-1945). Despite all crises people didn’t stop to consume alcoholic beverages. American whiskey especially boomed between 1945 and 1970 for about 25 years. The following 30 years were more or less a rise of other products such as vodkas. Taking this number, we are now 18 years into the revival of whiskey. Does that mean the next five to ten years there is another decline in popularity? Maybe, but considering some more details gives indeed a different picture: In 1970 North American whiskeys were at a peak with 80 million cases (2017 ca. 50 million cases). In 1970 there were 122 million legal drinking age adults in the U.S. compared to twice as many in 2017. So comparing numbers in detail shows a huge difference, there were 8 bottles of spirit consumed per person in 1970 and just 2.5 bottles in 2017. This is an important difference to detail the trends in the market and the consumer behavior that is in fact not comparable to 1970, but, the market has still a huge growth potential even in the established markets that is still not fully tapped into. 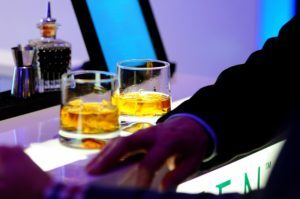 Whiskey prices will continue to grow worldwide due to an increase of global demand. Acquisitions of small distilleries by the industry leaders will continue, even so considering minority investments globally (i.e. as seen by Diageo (Distill Ventures) and Pernod Ricard USA (NBV Investments) focusing on global craft distilleries). “American Single Malt” designation is not yet prepared though on its way. The TTB as it seems has started to consider preparing an official rulemaking proposal. We do not expect a shakeout in U.S. craft distilling due to the cut in Federal Excise Tax: Craft distilleries who sell 25,000 gallons of whisky per calendar year will experience a drop from $342,500 to just $67,500 in tax. This tax savings of $275,000 is designed to support craft distillers and micro distilleries and will affect any production less than 100,000 proof gallons. This means the advantage is less for large production plants rather for small distilleries. “Potemkin Distilleries” will be more and more shunned by consumers demanding a truthful information about the whiskeys production site and procedures. American Blends are getting more and more into the market. Although American-made blended whiskey has more vodka in it than whiskey, blends will be the solution for long-aged barrels that are less pleasing in its the taste development.